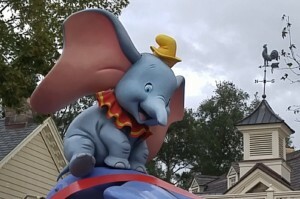 My last post gave some background as to why I booked a very last minute Walt Disney World vacation (3 weeks between booking the hotel and our first day in the park). Guests are able to make Disney World reservations for restaurants 6 months (180 days to be exact) in advance of their trip. Many guests actually mark this date on their calendar and are calling first thing in the morning to make sure they get their reservations. I can very confidently say that I have never in my life made dinner reservations 6 months ahead of time, but for many people Disney World is a once in a lifetime trip that is planned out months if not years ahead of time. So in Disney, restaurant reservations 6 months ahead of time isn’t crazy, it’s a reality. When planning our trip I was much more concerned with spending our time in the actual theme parks than with making breakfast, lunch, and dinner reservations for set times (I knew that would just stress us out). Sure, going out to a couple nice dinner sounded fantastic, but not if it was at the expense of getting to ride Space Mountain at Magic Kingdom, watching Illuminations at Epcot, or riding Toy Story Midway Mania in Hollywood Studios. This is a personal decision that you’ll have to make for your own trip depending on how many days you will be in Disney, and the personality of those traveling with you. We were only in the 4 theme parks for 5 days so we were a little concerned with getting on every ride at least once if lines were too long. There was only one restaurant that we considered a must – ‘Ohana. We checked every day for the three weeks between booking and the start of our vacation but no reservations opened up. I’ve since learned that upon making a reservation at ‘Ohana guests are required to leave a credit card with a $10 per person non-refundable deposit. I’m sure this is to discourage people from making frivolous reservations that they aren’t really intending on using. However, it has a really big disadvantage for those of us who weren’t able to get a reservation. Basically no one is going to cancel. On day 1 of our 5 day trip we decided we were going to try to get a walk-in table at ‘Ohana. We got to the restaurant around 8:00pm. We thought we’d be on the back end of the dinner rush, especially for families with young kids who were out at the parks all day and were approaching bedtime. Wrong. Maybe ‘Ohana is just always busy from the minute they open until the minute they close. 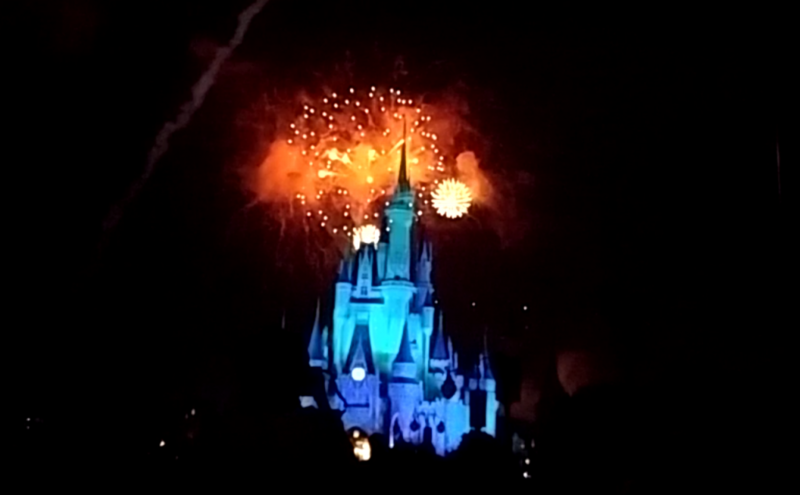 Or maybe, since ‘Ohana has a view of Cinderella’s Castle, people made dinner reservations around 8-9 to make sure they could see the Magic Kingdom fireworks show (which was at 10:00 that night). Either way, when I got to the receptionist and asked how long the wait would be for 2 people she informed me that they were not even accepting walk-ins. I was so discouraged. We had left Epcot early that day to get ready for a nice dinner and now we were all dressed up with nowhere to eat. I asked her if there was any way to get on a waiting list for the rest of the week since we had been trying without any luck to get dinner reservations. She told me no and that they generally do not take walk-ins. My husband was parking the car and I knew he had been looking forward to going to ‘Ohana, so I tried checking the My Disney Experience App on my phone to see if they even had lunch reservations available at all during the week. Nope. When he made it into the restaurant I had to give him the bad news that we weren’t going to be able to eat at ‘Ohana and I didn’t know where we were going to be able to eat that night. We lingered in the lobby until the receptionist that I had talked to left her post. There was a guy who took her spot and we swooped on the opportunity to see if he would be any more helpful. 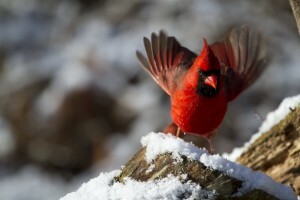 We explained that we had planned a last minute vacation and no reservations had been open. Even if we couldn’t eat there tonight we’d be happy to come back any other day of our trip at any time to make this work. He took our names down, told us to come back the next night “much earlier than 8:00” and that he’d find a way to get us a table. He gave us his name and told us to ask for him when we got there. We were ecstatic. Now we just had to find somewhere to eat tonight. We decided to hop on the monorail over to Disney’s Contemporary Resort to see if we could get a table at California Grill. By now it was getting late and since California Grill is near the top of the hotel we thought it might have a good view of the Magic Kingdom fireworks. We went to the receptionist and asked if they were accepting walk-ins. Just as she started shaking her head “no” I added “there are only two of us”. She paused to think and I added that we’d be willing to sit at the bar if we’d be able to order food there in addition to drinks. It worked! There was room at the bar and so they let us through. This is a HUGE tip I’ll offer to any couples trying to eat in Disney. So many people travel with huge parties, so if you are trying to find walk-in dining make sure you mention that there are only 2 of you. It’s much more likely they can squeeze you in somewhere. The night had been saved. We decided to have a couple glasses of wine and to split a couple appetizers (flatbreads and sushi rolls) to start. The appetizers were delicious and pretty filling. We were glad we hadn’t ordered everything at once because we were full enough to skip over the (fairly pricey) entrees and order a dessert. 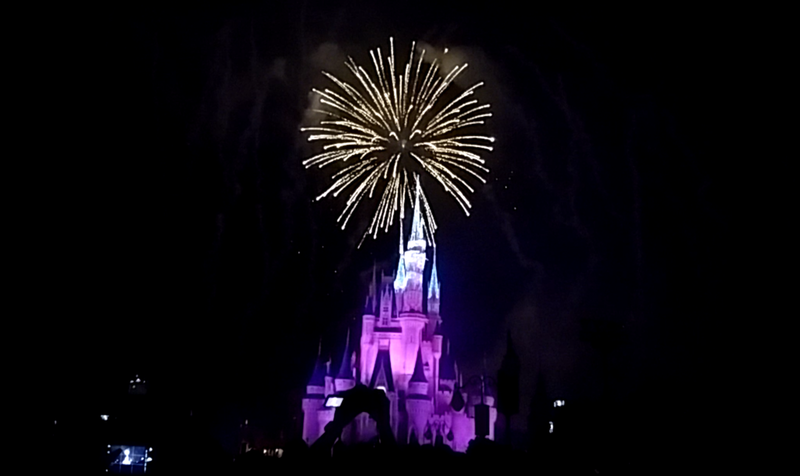 Just as we were waiting for our check the lights dimmed and music came on over the speakers for the Magic Kingdom fireworks show, Wishes. It was a perfect end to the night. We ate at ‘Ohana without reservations! Day 2 of 5 and we were getting ready for a nice dinner at ‘Ohana… again. Hopefully with better results this time. We got to the restaurant a little before 6:00, asked for our buddy that we talked to the night before, and he was true to his word. He must have added our names once someone cancelled because the two of us were sat at a huge 6 person table. At first we thought we’d be joined by two other couples who were also unable to make reservations, but no, those place settings were removed after we sat down. Just the two of us at a big table, but we weren’t upset in the least, just happy to get a table without reservations. The food and service were top notch. I totally understand why they are booked every night (but seriously Disney, maybe it’s time to expand the restaurant so more people can enjoy the delicious food). ‘Ohana is absolutely one of the must eat places in Disney World. With all you can eat wings, steak, chicken, and shrimp, we ate until we couldn’t eat another bite. Before we left we made sure to find our buddy at the reception desk to tip him a $20 for going out of his way to find us a table that night. I truly don’t know if we just got extremely lucky, or if you might be able to replicate our results. Just remember that these receptionists must have the unpleasant job of turning families away every single night, so be kind and hope that you just might get lucky like we did. 50’s Prime Time Cafe was another restaurant that my husband remembered from going to Disney as a child. It is located in Hollywood Studios and is decorated to look like you are at someone’s house. Your “mom” (waitress) yells at you (it’s all in good fun!) throughout the meal. It is a fun and cute atmosphere and the food was very good. But let’s go back to how we got a table. If you are starting to see a trend here you’ll have guessed that we didn’t have reservations for the 50’s Prime Time Cafe. We hadn’t specifically planned to go to this restaurant ahead of time, but once we got to Hollywood Studios Steve remembered about this restaurant. He checked his My Disney Experience App and saw that there was a reservation available for the late afternoon if we wanted to do a really late lunch. Similarly to ‘Ohana, when trying to claim this reservation the app informed us that we were required to put a non-refundable deposit down per person. For this reason we decided not to make the reservation. We didn’t want to be waiting in line for a ride and have to leave to run across the park to make it to a lunch reservation on time. And we really didn’t want to be charged without even eating. We wanted to see a bunch of the shows in the afternoon and were also concerned with how this would affect our timing. We decided instead to try our luck once again at getting seated as walk-ins. We showed up at the restaurant around 11:15 and asked for a table for 2 for walk-ins and it wasn’t a problem at all. They took our names down but I don’t think we waited more than 5 minutes before they came and called us to be seated. The whole experience was a lot of fun. “Mom” gave us the plates and silverware and watched to make sure we set the table correctly. She reminded us about manners and keeping our elbows off the table. Steve even got in trouble for not eating enough of his vegetables. 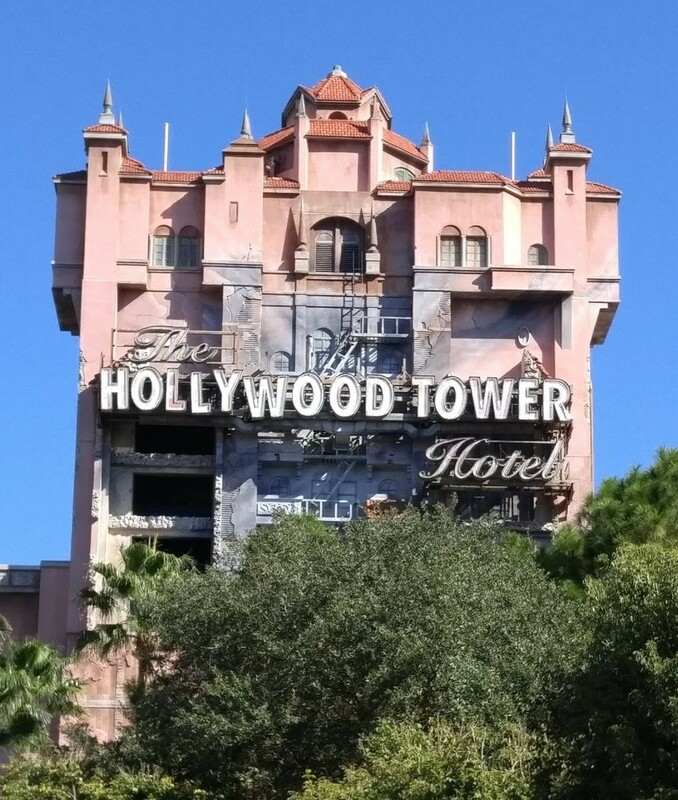 Before we left “Mom” gave us a stern warning, “no Tower for an hour.” We decided that was a pretty good recommendation after a big lunch and waited until later in the day to visit the Tower of Terror! A couple hours later we were back in this area of the park and were shocked at how many people were waiting around the entrance of the 50’s Prime Time Cafe. I don’t think we would have been able to be seated as walk-ins if we had waited until later in the day. We tried a similar but opposite technique one evening at the Whispering Canyon Cafe. Instead of trying to beat the rush, like we did at the 50’s Prime Time Cafe, at Whispering Canyon Cafe we tried to get a late dinner about an hour before the restaurant closed. We were staying at the Wilderness Lodge so we could see into the restaurant and knew that there were still a lot of people eating but the crowd was clearly dying down because there wasn’t anyone waiting at the hostess desk. The restaurant closed at 10:00 pm and we got there around 9:00. We asked for a table for 2 walk-ins and they were able to seat us probably within 10 minutes. Once again we were very impressed by the food. Maybe my expectations were too low. I was thinking that a lot of the Disney restaurants would serve the same types of generic park foods like chicken fingers and hamburgers. But in reality every sit down restaurant we went to (actually even some of the cafeterias inside the park) had genuinely good food and had plenty of healthy options to choose from. Steve and I both chose different meat entrees and both were served with generous portions of big, fresh, and colorful veggies that were deliciously prepared. We’re not talking cafeteria slop spooned onto the plate. Well done, Disney, I never should have doubted you. Eat at off-peak times. You’ll have the best luck at getting seated as walk-ins by avoiding peak dining hours. There are plenty of food stands around the park, so try getting a really early lunch at a restaurant, then stopping and getting an ice cream or soft pretzel or some kind of snack later in the afternoon between rides to hold you over until dinner time. Let the hostess know if you are in a small group. If you only have two people then make sure you state that when asking if they are taking walk-ins. If you have a big group then consider whether you’d be willing to break up into multiple small tables. Let the hostess know this before you ask if they can seat you. A group of 8 might get a different answer than two groups of 4. It’s just easier for them to find room when you are in small groups and when you’re flexible. Ask to sit at the bar and eat. Most restaurants with a bar will allow you to order from the full menu while sitting at the bar. If a restaurant can’t take walk-ins for a table then ask if there is room for you at the bar. Be friendly and remember that you don’t have a reservation. They don’t owe you a table. You are asking them for a favor. They don’t want to have to tell you they can’t find a table just as badly as you don’t want to hear it. But the fact of the matter is that they are going to have to turn families without reservations away every day. People are more willing to help you out when you are friendly, so put on a smile and hope you get lucky like we did. As you can see, it absolutely is possible to eat in Walt Disney World without dining reservations. When planning your trip I’d suggest making reservations for one or two must eat restaurants (like ‘Ohana) and leaving the rest up to chance. This is a vacation after all, so you won’t want to be tied down by non-refundable deposits for exact dining reservations for every meal of the day. Let me know in the comment section below what experiences you’ve had. 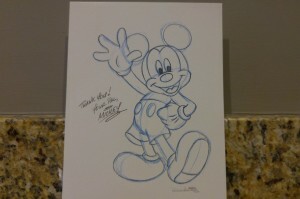 Do you have any Disney dining reservation tips to add?